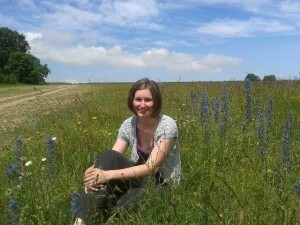 If you read my earlier blog, you might remember that my job involves working with environmental groups and supporting our Sanctuary programme. 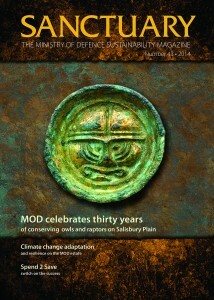 Sanctuary is the name given to the Ministry of Defence (MOD) sustainability magazine. This year’s edition was officially released this week to coincide with the prestigious Sanctuary Awards, which take place today in the MOD HQ in Whitehall. The awards recognise and encourage efforts that benefit sustainable development on or within land and property that the MOD owns or uses in the UK or overseas. This event also marks the end of a crescendo of work taking place behind the scenes to ensure the magazine and award ceremony are arranged and delivered on time. The magazine, now in its 39th year, starts life in early spring as a selection of article ideas sent to us from around the MOD estate. The ideas are then discussed at an editorial board meeting and selected to provide a wide spread of subject matter. This year we also had an overarching theme of Climate Change and were therefore seeking articles that focused on this area. Once the content has been decided, the authors are contacted to write their full articles. Once finished articles are received they are given to Subject Matter Experts within the Conservation, Sustainability and Utility teams. Thse colleagues assess the content of the article and suggest changes where needed. Once the content is approved, the articles are proof read by the editors and sent to the design team at the Aspire Multi Media Centre. This is a rewarding time when we finally get to see what the articles and photos will look like in the finished magazine. Approximately 4,000 paper copies are printed through the generosity of our sponsors, who this year are Kelda Water Services, CarillionAmey, Babcock, Aspire Defence, QinetiQ, Landmarc and Williams Lea. At the same time as we start work on the magazine, the nomination period opens for the awards. Projects and individuals are nominated for their achievements within the area of sustainability in one of five categories: Energy; Heritage; Environment; Sustainability and Individual Achievement. The winners are selected by a judging panel comprising of internal and external judges who specialise in those subject areas. Specific criteria are followed to ensure a fair process and the discussion over who should win can open a thorough debate. The last piece of major work is organising the award ceremony. This involves arranging the guest list of award winners, sponsors and MOD senior staff. This year Anna Soubry MP, Minster of State for Defence Personal, Welfare and Veterans helped to present the awards along with DIO’s Chief Executive Richard McCarthy. 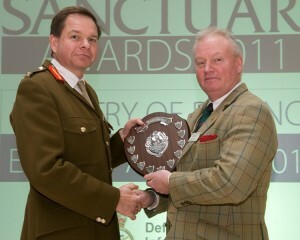 Catering, security and event publicity also need arranging to make the Sanctuary Awards a success; although the main successes of the day are the people there to collect their awards for their work to improve the sustainability of the MOD estate. If you would like to read this year’s magazine, you can access it online. We hope you all enjoy it!